The Sonoma County Winegrowers announce their next bold endeavor, the 100 Year Business Plan to Preserve Agriculture in Sonoma County. Announced at the 24th Annual Dollars & $ense Seminar and Tradeshow on January 15, 2015, the SCW shows the commitment to yet another bold initiative to propel our county forward. Sonoma County Winegrape Commission has created a 100-year business plan to preserve agriculture in Sonoma County well into the 22nd Century. The time period of 100 years was chosen because it represents two generations before and the next two future generations – spanning from grandparents to grandchildren. 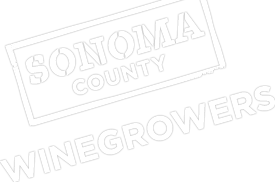 The plan addresses such issues as innovation and research, natural resources, the regulatory environment, community engagement and marketing while building coalitions throughout the community in support of sustaining agriculture in Sonoma County in the long-term.